The AGF800-48D series isolated DC-DC converter is intended principally for RF applications such as high power wireless base stations. It produces fully regulated low noise outputs of 30 Vdc (intended to supply the power amplifier) and 5 Vdc (for powering the digital circuitry), capable of delivering up to 23.3 amps and 20 amps respectively. This dual output capability can eliminate the need for a second power module, saving cost and board space. Applications flexibility is further enhanced by an extra wide trim range; the 30 V output can be trimmed from 20 to 33 V, while the 5 V output can be trimmed from 3 to 6 V.
The converter has a wide 2:1 input range of 36 to 75 Vdc that is designed primarily for use with standard 48 V telecommunications equipment supplies. Rated at 800 watts, the AGF800-48D series converter employs an aluminum baseplate structure that enables it to operate over an ambient temperature range of -40 to 85˚C. It can continue delivering full power up to a baseplate temperature of 100˚C, without need of forced air cooling. 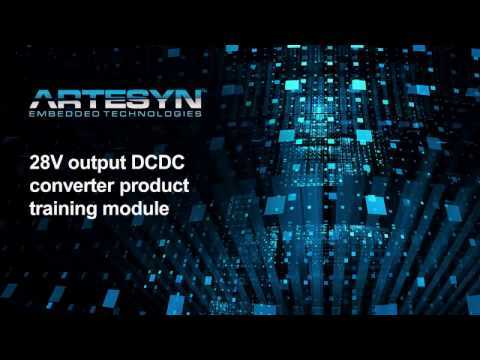 The converter has an ultra-high efficiency of 93.5% with both outputs at half load, and uses 290kHz fixed frequency switching to help minimize external EMI filtering requirements. AGF800-48D series converters have an industry standard full brick footprint and pin-out, with an installed height of just 0.5 inch (12.7 mm). Standard features include remote enable, remote sense on both outputs and remote ‘power good’ indication for the 30 V output, as well as comprehensive protection against input undervoltage, overtemperature, and output overcurrent or overvoltage conditions. 4.600" x 2.400" x 0.500"